Let’s say, for a particular printed reference material, you only have to type in the relevant search tag, and you’ll have immediate access to those forms, without having to dive into stacks of files or reams of paper records. Using various tools and techniques like Optical Character Recognition and Imaging systems, we convert your handwritten text input in physical forms to electronic digital text. Paper forms like revenue receipts or medical reports are processed and collated under a single umbrella system for efficient handling. 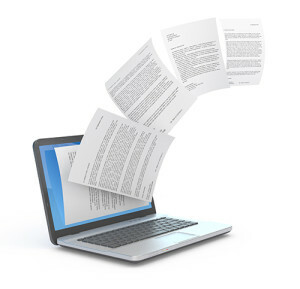 Various spreadsheet documents like excel sheets, open office docs can also be stored along with word docs. A repository of images can also be created with PDF, TIFF files etc. Using indexing services they can also be tagged for easy search & retrieval.